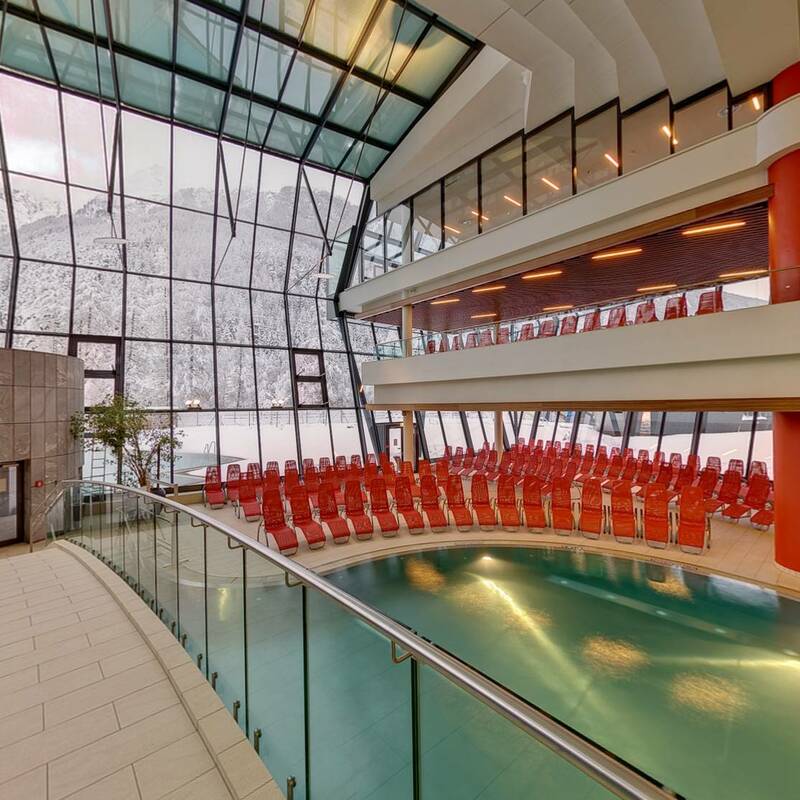 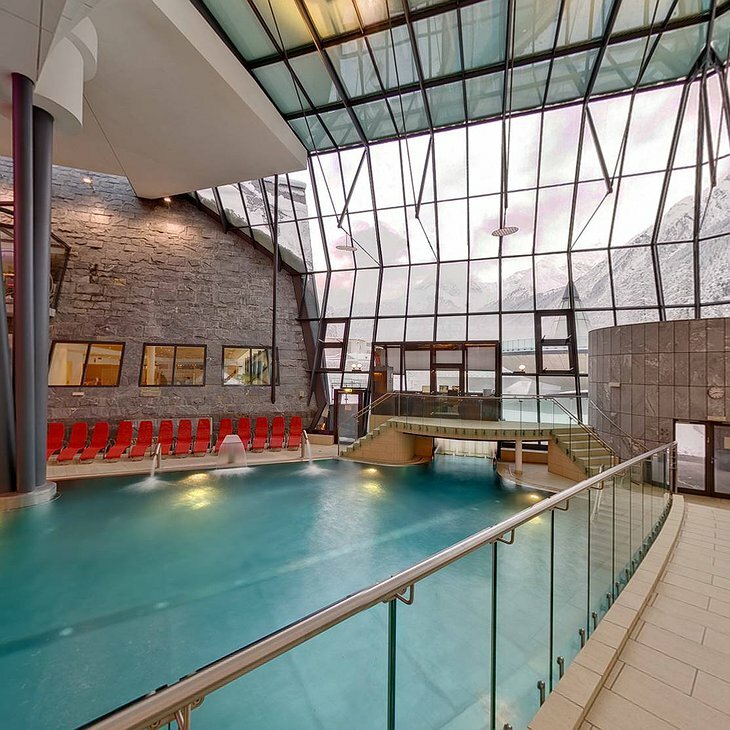 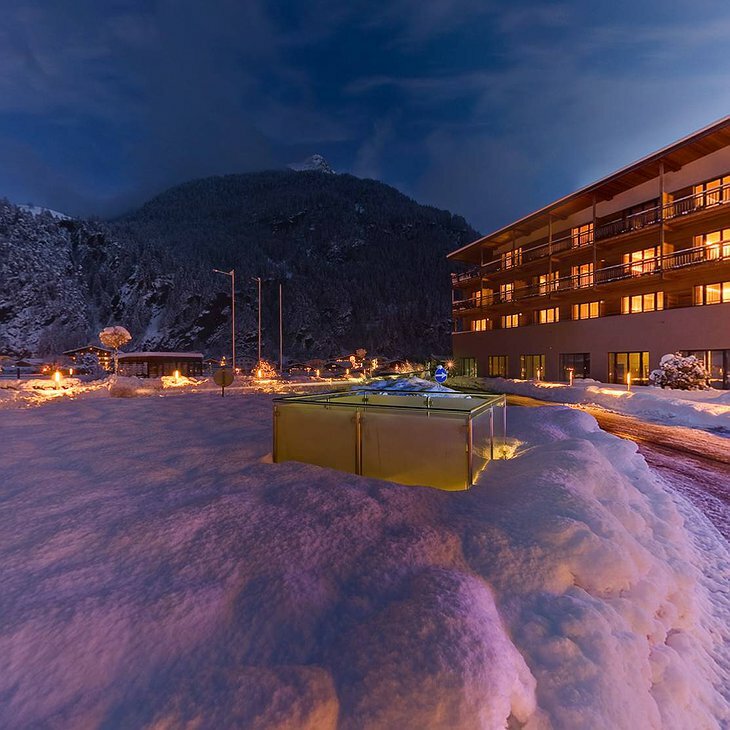 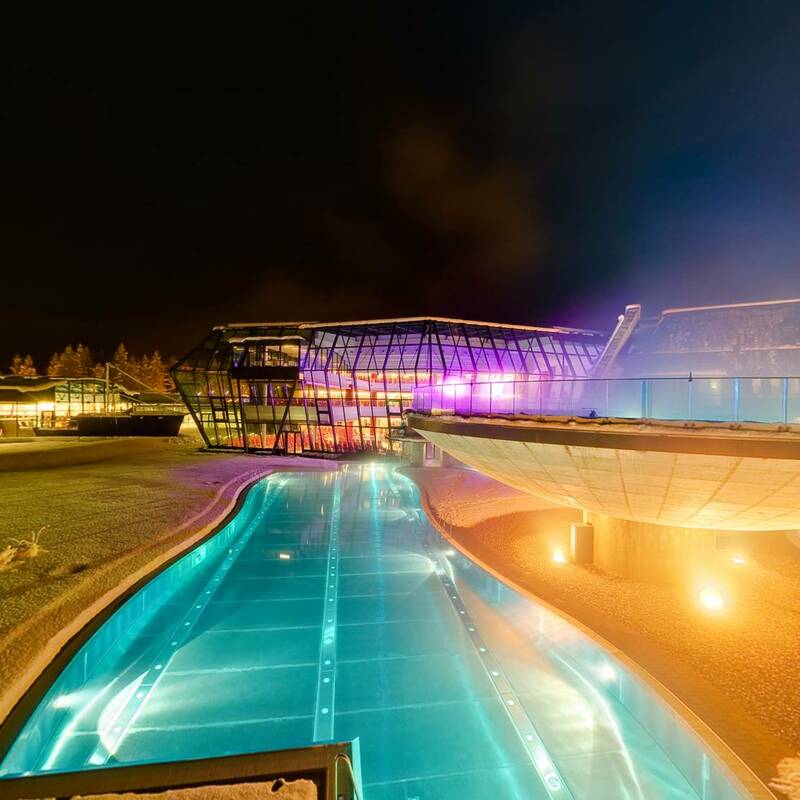 The Aqua Dome Spa and Hotel sits high in the Austrian Alps in a granite-walled valley. 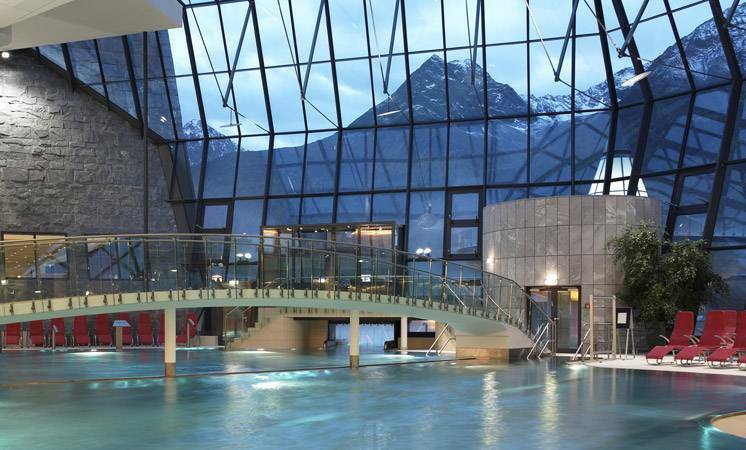 The area is well known for its cross-country skiing but this is not the main reason you visit: far greater things await you because this is one of the most luxurious spas in the world. Three outdoor pools are full of glacial water which has been filtered by the mountain and heated by the planetary fires deep within the Earth’s crust. 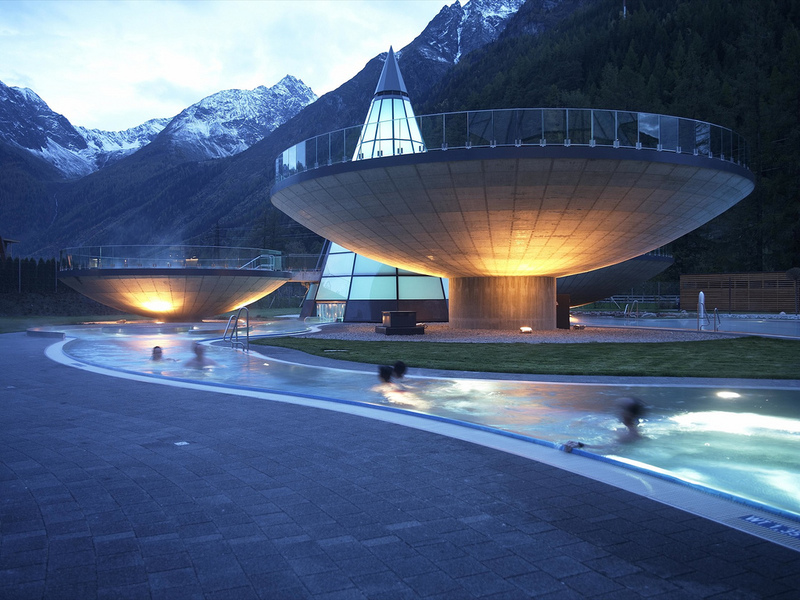 While you take a revitalizing soak in the mineral waters you can admire your Alpine surroundings. 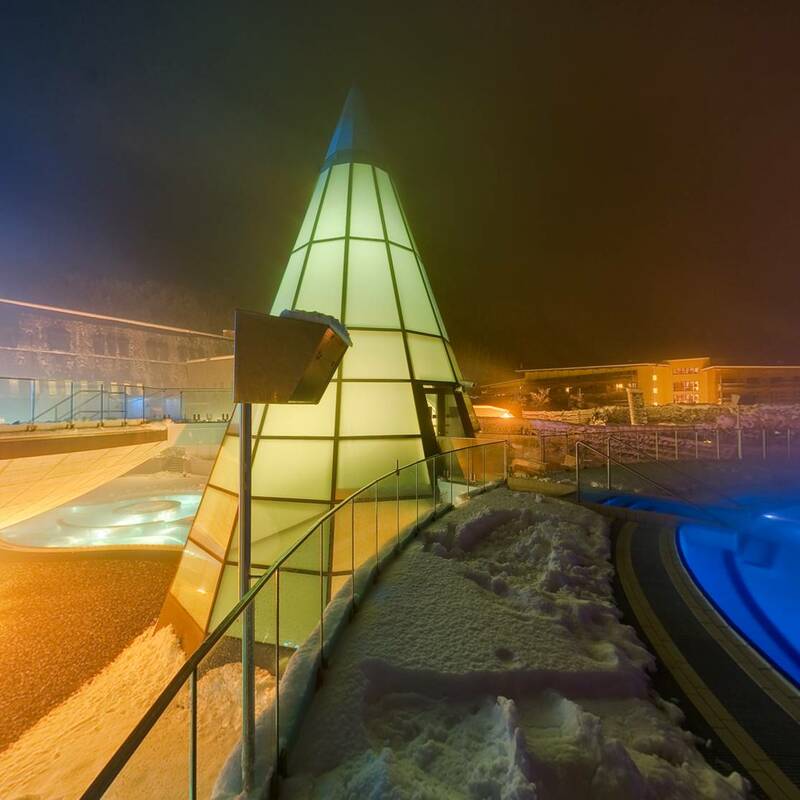 A selection of saunas, baths and steam rooms await you inside the glass-roofed complex; from a traditional Finnish sauna to modern rooms, that use sound and light to relax your body and mind. 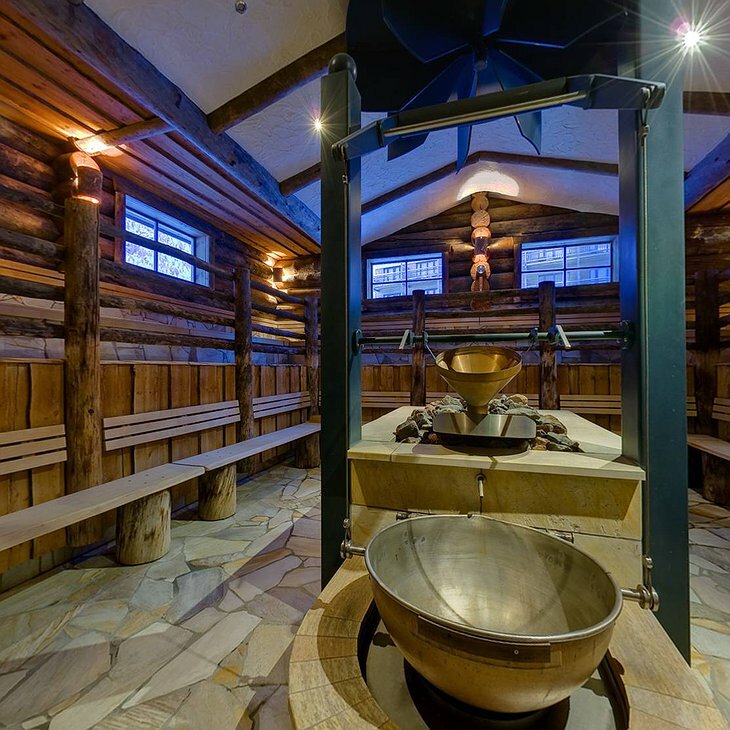 If you have braved the temperatures in the saunas which can go up to 100°C then you will want to cool off in the ice-grotto where thick water drips all down your body. 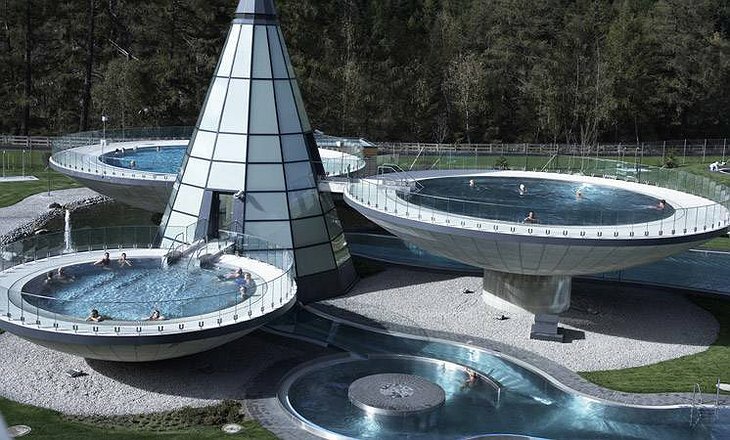 Showerworld is underground. 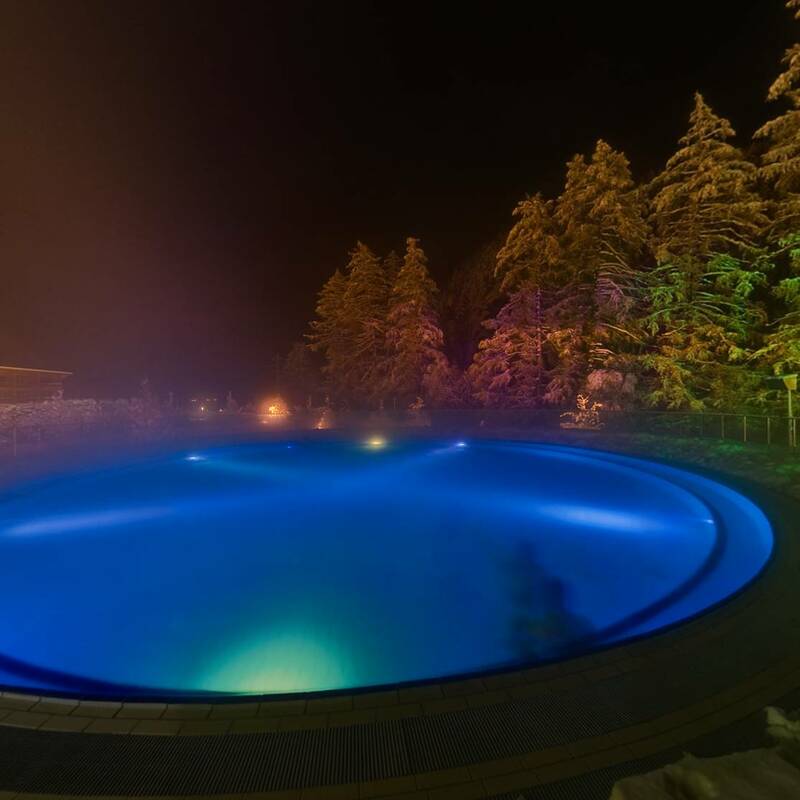 You can choose to refresh yourself in ‘tropical rain’, ‘fog’ or ‘waterfall’. Finish your spa session by lying on a giant, heated waterbed or a massage chair or in the natural chill-out area. If you get hungry you can have a light buffet meal or the full works at the Hitzeschmankerl Sauna Restaurant.